NEW! : Rosters limited to 20 players (w/ 2 goalies) – to maximize playing time & game/prax reps.
12 years in club lax business; MBYLL endorsed. Two experienced college/HS/youth coaches assigned to each HGR team for full season. A club that gets the whole picture from skill development to recruitment. 85-90% college placement/commitment rate to D1, 2 & 3 programs. My name is Kelsey Czarnota. I graduated from Wakefield Memorial High School in 2017. I am currently attending Saint Anselm College where I play for the women’s lacrosse team. I owe this great opportunity to the Home Grown Lacrosse organization (HGR). The HGR staff is amazing. HGR coaches have the highest lacrosse IQ’s I have ever encountered in my twelve years of playing lacrosse. Every single practice and game I would receive corrections and learn new concepts about the game. They help players improve their stick skills, raise their own lacrosse IQ, and ultimately get recruited by competitive colleges. In the midst of this intense player development, there is also lots of fun. I never dreaded going to practice or tournaments. Instead, I looked forward to attending. 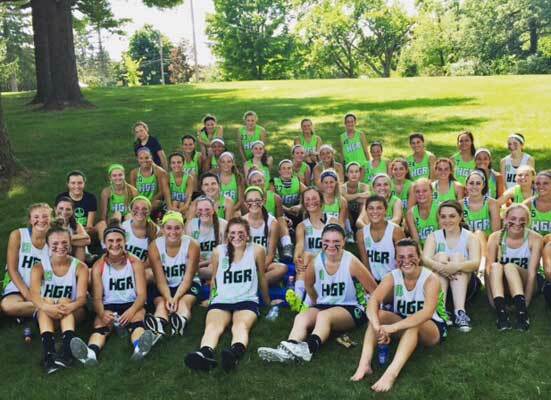 I played on the HGR Girls Summer Elite Team. I am forever grateful for this experience because I would not be where I am today without it. If you want to play in college, then HGR will guide you through the recruiting process and give you the skills you need to succeed. 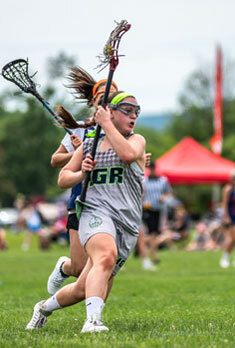 With that said, I recommend HGR to all lacrosse players, even those not interested in college lacrosse. 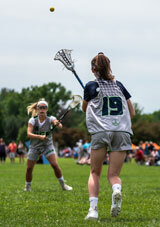 HGR brings players to the next level, allowing them to contribute more on the field and building confidence. HGR is a fantastic organization. Thank you HGR! Our Girls Elite Coaching staff is comprised of current and former head & assistant college coaches of nationally ranked and NCAA championship programs in Division I, II & III, head high school coaches of state tournament teams, current and former Division I, II & III college players as well as former and current college All-Americans. Throughout the fall, we have 2 practices a week in between tournaments to keep skills sharp and further develop IQ. The first practice will be outdoors and take place on Sundays, while the second practice will take place during the week at HGR. The second practice will be optional. Each fall, players participate in one classroom lacrosse IQ and one outdoor team practice a week. We will have a personal recruiting meeting with every player and their family at our offices, going over their specific and personal recruiting landscape. We are always a phone call or email away as a sounding board for any questions that may arise throughout the process. Professional filming at 1 Fall tournament (Game Video/Filming for HS Teams-Players Only!). HGR will hire professional film companies like First Scout and Next Level Video to film all of our teams and all of their games at 1 of the 3 tournaments we will be attending this fall. That film will be given to the players and families to use as they please but will greatly aid in the creation of player highlight tapes for recruiting purposes. Daily weekday open field (shoot around time)Players will be able to come in and shoot buckets of balls, condition, work on what they were taught in their small group lessons or just have a pass with their girls on the team. All rising freshman through rising seniors will receive a new HGR uniform, a shooter shirt, and a backpack. Youth players will receive a new HGR uniform, a shooter shirt, and a slingback. Any returning summer elite players, HS or Youth, do not receive new HGR gear for fall. A 15% discount off Mike Boyle Strength and Conditioning Mike Boyle is the premier name in strength and conditioning throughout the country and he happens to have two facilities in North Andover and Woburn. All HGR players receive a 15% discount on any Boyle program they participate in.